This is my absolute new favourite headline on #IndustrialRelations and #LabourEconomists. 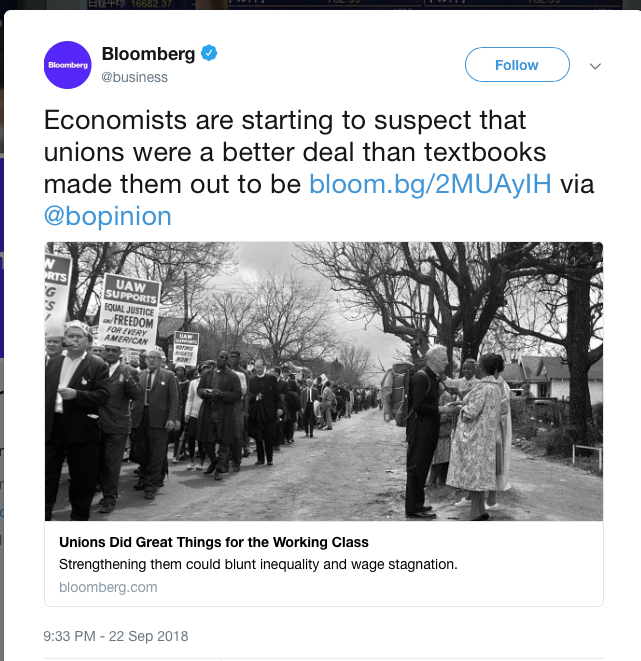 The accompanying article provides a nice, brief summary of the long-standing debates about What Unions Do and even links to the 1979 paper by Richard Freeman and James Medoff, “The Two Faces of Unionism”, which explained that unions benefit society by injecting “voice” into the workplace, which has spillover effects on democracy writ large, and reducing turnover, lowering wage discrimination, and reducing income inequality across society as a whole. 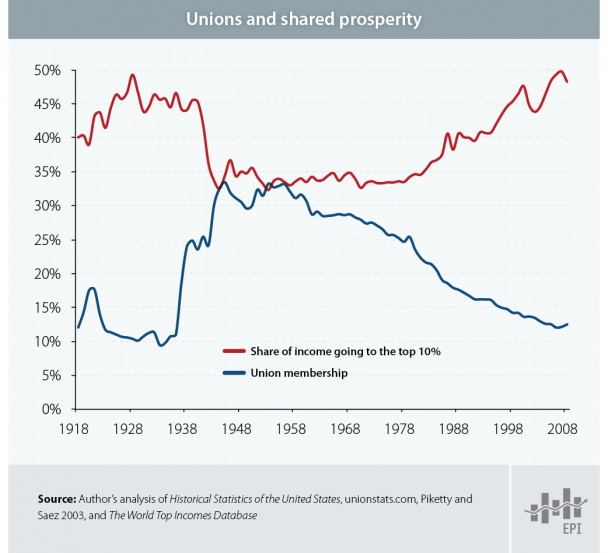 Today, the focus of study on unions in the US is largely centred on the relationship between falling union density and rising income inequality, as depicted starkly on the below chart.